Everything you need to know about cut flowers, bouquets, plants, and more! As South Africa’s most loved online florist, NetFlorist takes pride in having expert florists that are skilled in the art of creating the most beautiful floral gifts, bouquets and flower arrangements as well as caring for all kinds of flowers and plants. Our florists have compiled this flower care guide to help you get the most out of your flowers and plants. Why should I send someone flowers? In 2017, we made a video that answers this question perfectly! It shows just how happy you can make someone by sending them flowers. 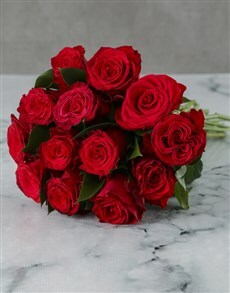 Sending flowers online is a time-saving and convenient way to show someone you care, let them know you’re thinking of them, and celebrate all of life’s special occasions. We’re also SA’s leading floral delivery site; we’ll help you send flowers anywhere in South Africa! With our quick and stress free online ordering system, NetFlorist has made it easier than ever to order flowers online and have them delivered anywhere nationwide! What occasions are flowers appropriate gifts for? All of them! 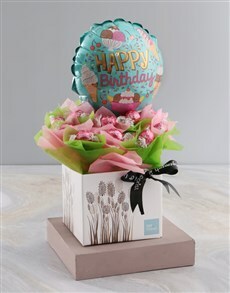 NetFlorist has been in business since 1999, and in all those years we’ve never encountered an occasion where flowers wouldn’t have made a perfect gift! A flower bouquet is an amazing gift for any occasion that you can think of; from your grandmother's birthday, to your parent’s 35th wedding anniversary, your sister’s graduation, and even a romantic evening with your special someone! We stock any and every type of flower, plant and flower bouquet you could ever want. NetFlorist also offers nationwide, sameday flower delivery, so not only will we help you choose the perfect floral arrangement, we’ll deliver your floral gift wherever it needs to go! How do you arrange a flower bouquet? Our florists have put together their best flower arranging advice to help you arrange your own cut flowers. 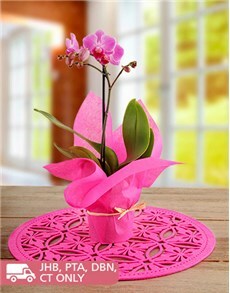 Start with a vase – Before you can begin arranging the flowers you need to choose a suitable vase. The ideal vase is about half the size of your final bouquet. Don’t forget to fill your vase ¾ of the way with water. Get to know your flowers - lay out all the flowers you have and decide which of them will be your ‘stars’ and which will be the fillers. Remove any damaged petals. Look after the leaves – trim any leaves that will fall below the waterline. This will prevent rot and bacteria growth. While you have your scissors out, cut the stems at a 45’ angle to help them absorb water. Start with the biggest – the first flowers you add to the vase should be the ones that will take up the most space. Then you can add the rest of your flowers, grouping by colour and making sure your flowers aren’t all the same height. It’s in the details – add your ‘wow-factor’ flowers last to make sure they are clearly visible. You can fill in any blank spaces with greenery or your remaining filler flowers. What are cut flowers that last? Cut the stems – stems need to be cut at a 45’ angle to eliminate air bubbles and ensure the flower is easily able to take in water. Recut the stems – don’t forget to recut the stem every few days to make sure the flower can absorb water. Remove leaves – strip off any leaves that fall below the water line. This is to avoid rot and bacterial growth in the water. Plants like drinking clean water too! Change the water – changing the water daily removes bacteria and helps keep the blooms looking fresh and beautiful! No direct sunlight – growing flowers might love the sun, but cut flowers don’t. Keep it cool – there’s a reason florists store their flowers in a cold room; flowers stay fresh longer in cooler temperatures. How do I care for my pot plants? All pot plants are not equal – Different plants need different care. We’ve listed the basics below, but for a more detailed care guide for specific plants have a look at this article here. Water wisely - If the soil is dry to the touch your plant needs some water. Be careful not to over water your plant or let it stand in water, as this might make it lose its beautiful blooms! This article will help you learn how to be water wise with your plants. Let there be light - All plants need sunlight to stay healthy. However, not all plants need the same amount of sunlight. Don’t worry, all NetFlorist’s plants, and those of other reputable plant shops, come with instructions about how much sunlight they need. From the bottom up - Good soil heath is important! Different plants like different soils. Sandy clay is great for roses as it offers good aeration and water retention, silty soil is best for growing irises, loamy soil is ideal for bamboo, but, the best soil for most plants is a rich, sandy loam. don’t worry, you can improve your soil health, we tell you how here.